It’s essential to a have a basic idea on how to administer first aid to save lives. 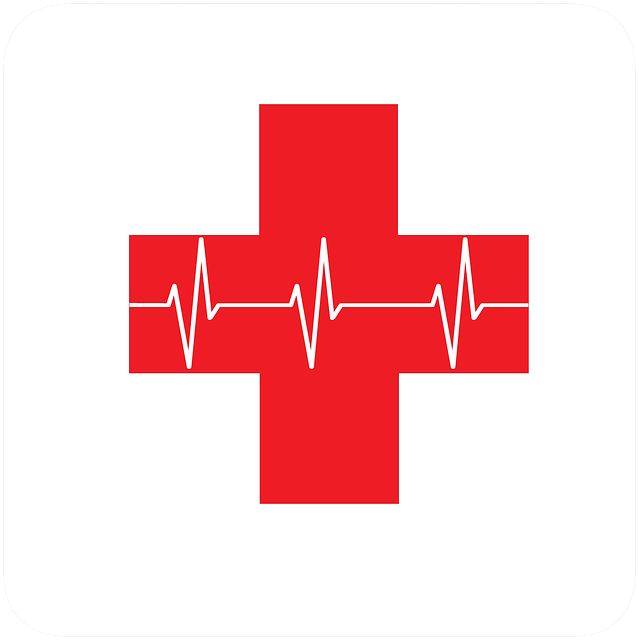 Therefore, all humans, irrespective of their background and profession, should know the basic first aid techniques. During a catastrophe, you might come across family members in need of medical assistance for minor injuries such as wounds, breathing problems, burns, and lots more. 1 A complete first aid course will provide you with all the fundamental techniques needed in administering it. 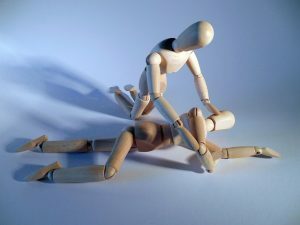 A complete first aid course will provide you with all the fundamental techniques needed in administering it. 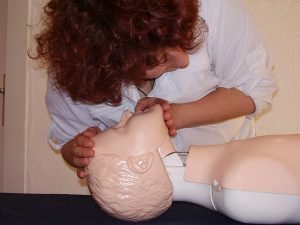 Cardiopulmonary resuscitation commonly known as CPR is a first aid technique useful in many emergencies associated with the heart and airways. There are couples of incidents where people are out on their feet, making it difficult for them to breath and in most cases, their heart tends to stop beating (for instance during a cardiac arrest). CPR can aid in rejuvenating such an individual. It can also lead to possible damages associated with breathing and cardiac anomalies that could lead to heart failure. 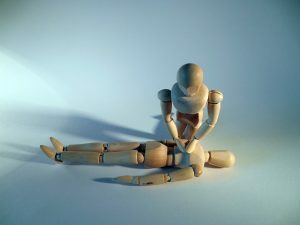 There is an easy sequential procedure that you will need to adhere to ensure you efficiently and adequately administer CPR to an unconscious person. Failure to follow these necessary steps might put you or the patient in jeopardy. To perform a proper evaluation, you must avoid rushing to an unconscious individual without first analyzing your environment. Ensure the surrounding environment is safe before proceeding to administer the first aid. Administering it in an unsafe environment might put you in harm’s way which may result in injury. If the risk associated with gaining access to an unconscious person is high, kindly desist from giving that person CPR. Leave it to emergency personnel who are likely to have vast skills and experience. To establish responsiveness, ensure that the scene has been pronounced safe, after which you gently approach the individual. Analyze his physical condition, and avoid moving the patient unnecessary especially if you suspect neck or spine injury, as this may enhance the damage. Ask the patient if he/she is okay. The patient may not respond immediately, as he might still be in shock. Hence, repeat the question over and over until you get a response. You can also gently shake the person. But if you do not get any response after some seconds, it then means that the patient is unconscious and should be treated. Ensure you make the patient comfortable, as this is pretty essential when administering first aid to a wounded and unconscious person. Unfasten and loosen the person’s clothes, belts, ties and any other wears that might be tight on him/her. Remove his/her shoes, necklaces, bracelets, anklets, etc. to boost overall circulation. If you do not notice any spine or neck issues on the patient, gently rest his/her check on the ground by lightly lifting his/her arm to one side. This is known as the recovery position and is highly commended if the victim is breathing normally but finding it difficult to move his/her body. To determine when to administer CPR to a patient, you need to ascertain the patient’s breathing and pulse rate. Examine the victim’s chest to determine if it is rising and falling. Place the back of your fingers close to the victim’s nostrils or mouth to assess air movement. If you these tests fail to yield positive results carefully drop the victims head backward, lower his jaw and check for any breathing interference. Gently squeeze his nose and breathe into his mouth twice. Once the victim starts gasping or coughing, stand down and allow him to regain full consciousness. After checking the patient’s breathing, proceed to check the pulse. If there is no pulse, locate the center of the ribcage and administer chest compressions. Ensure your fingers are gently interlocked together while employing pressure to the chest. There are many theories how to proceed next, but the later science shows the most important is to ensure blood flow in the body. Press down to about 5 centimeters with 30 repetitions. Then breath in his mouth twice. Remember to squeeze his nose so the air will go down in the person’s lungs. Always watch that the ribcage is moving, so you see this is done correctly. Keep checking for vital signs while administering CPR. A correct performed CPR usually ends with injured ribs. In movies we see people wake up and are fine after hearth and breath failure. In the real world, this method is usually a way to ensure blood flow and distribute air to the body. Professional personnel is needed in most cases for a rescue. CPR is still essential to keep the person in this limbo state until professionals can do their part. If CPR is not done, the death is certain. Shake gently in the person and ask if he is ok. Check if the person breath and have puls. Breath in the persons moth twice. Repeat nr 6 and 7 until professionals arrive or the person has vital life signs.